Hours before posting this blog, I read two interesting articles (about the same subject) on the Guardian and the British Council sites, which has changed the course of this post (or at least the opening paragraph). Each showed that language learning in the UK has declined, stating “three-quarters of the UK public are unable to speak one of the 10 most important languages,” and based on my own inability to speak another language, I would agree. As far as I remember, learning another language did not seem important in my school years and the drive to learn one diminished once I was given the choice to drop it after GCSE. Not so many years later, like many others, I feel a desire (or more likely a wish) to be able to speak another language. This may have been reinvigorated when travelling (though other friends who haven not travelled feel the same) and noticing how people from other countries could so easily communicate with me – I would feel ashamed that I could not listen in on their conversations when they spoke in Spanish, German, Italian, Portuguese etc. Here at emc design we work with English Language publications for Cambridge University Press, Oxford University Press, Macmillan and Pearson, amongst others. We specialise in creating exceptional and sophisticated materials for teachers, students, young and adult learners across traditional and digital formats. 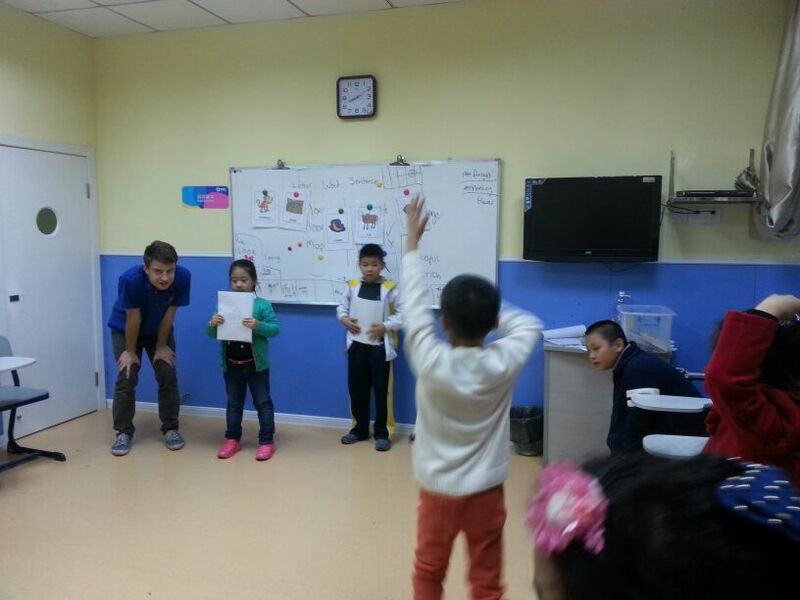 In doing so, we know the markets and regions that are learning English, and the process in which English is taught. As the publishing industry begins to shift toward digital so too will the format of teaching and learning a language. With various online guides and resources, there is more and more scope for tutors, schools and private institutions to engage with their classes and to get ideas about the best course in which to teach. As we are a design agency, we are very interested about how the materials we produce are used and to what extent they are effectual. In order for us to continue to produce the best work and be even more effective, we are also invested in where the industry is going and what others think. 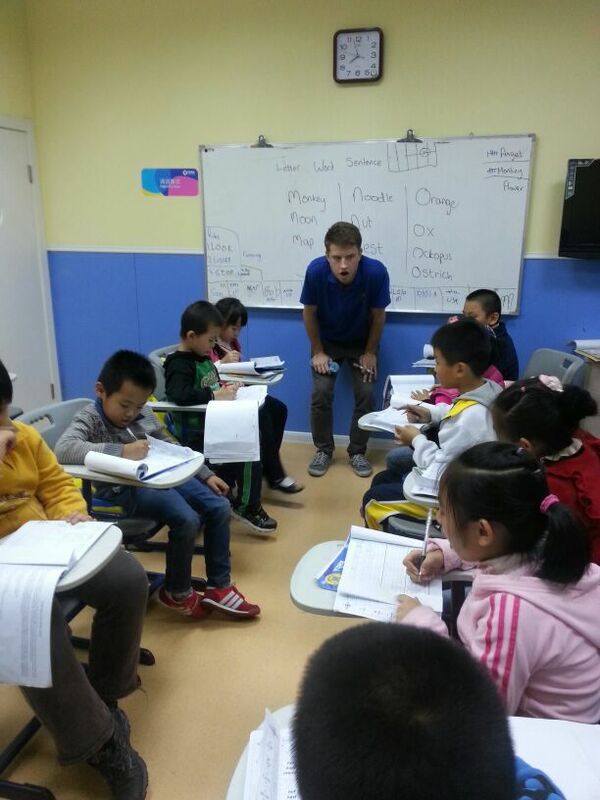 That said we decided to speak to Benjamin Collison, a recent TEFL course graduate and is now teaching English in China. I asked him about his experiences in teaching, the kinds of resources he uses and other questions related to English Language Teaching. 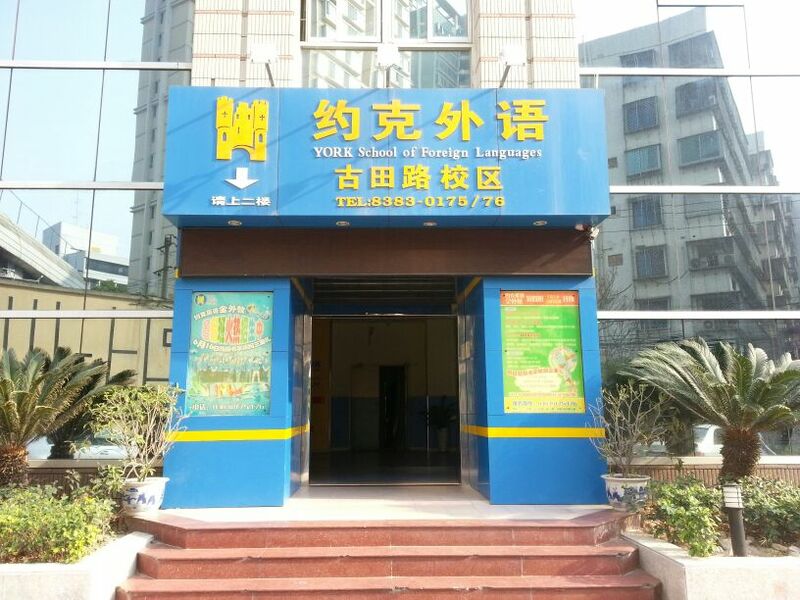 *York English School is a private institute that has been open for ten years, with five schools based in Fuzhou. The school provides traditional resources and does not have any classroom computer. Nothing is provided digitally. What are the kinds of resources your school provides? How much input into what is taught comes from teachers? What other resources have you used aside from the ones the school provides? Would you ever buy resources or materials? How important is the design and layout of the materials in teaching your students? What kind of teaching does the school encourage? What is your particular style of teaching? What are your thoughts about learning a new language? What challenges in teaching have you come across? What have you learned whilst teaching? Communities of Teachers still appear to be relying, in some capacity, on traditional, printed materials. These however are used as a ‘guide’ to create and formulate their own resources. This indicates clearly that the printed materials still has a significant presence in English Language Teaching and cannot be displaced completely with digital resources. Publishers need to ensure they continue to create inspiring, clear and usable resources at affordable prices, in order to not only compete with other Publishers, but also the growing trend for teachers to create and use their own resources. Are you a teacher creating your own materials? Or a publisher focusing on digital publications? Do you have a desire to learn a new language? The biggest issue I have with the published materials often used in China (be it Pearson, Cambridge or Nat-Geo) is that it is focused on an ESL student rather than an EFL. This seems to be the ball most commonly dropped, which results in teachers developing their own materials. As students do not get to leave the class and interact in English, a lot of the material (particularly for older students – Juniors and Seniors in high school – and University students) is boring, unengaging, and beyond their scope of usefulness. 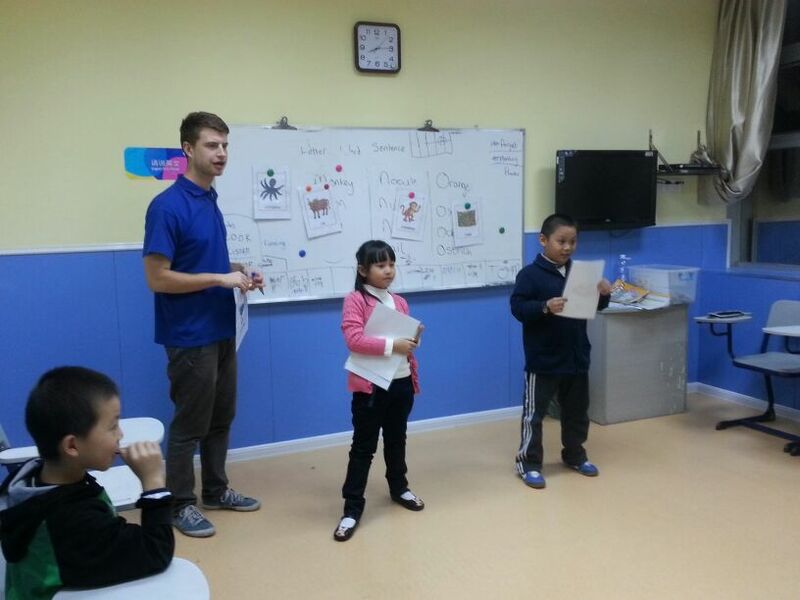 Our teachers usually create their own textbooks based on their course and course objectives, which allows for greater flexibility, but our Chinese teachers tend to focus on the text itself and mold their classes to a static book, rather than a dynamic class. It’s one of the biggest problems they face – lacking flexibility to address the issues that students have with the classes. These are my experience teaching at both a University and its associated High School. Thanks Rob for sharing your experiences. And you’re right in that often the level of engagement is pitched at a lower level because they are a new English learner. Rather than sophisticated subject matter pitched at a beginner level. We are a small publisher based in the Netherlands. We only produce online courses. At present we are finding that for some schools we are too far ahead of the game. However there is a small but steadily expanding group of schools that are moving to digital only teaching materials. Producing online materials requires a much stronger focus towards students and less emphasis on the teacher; a trend that I believe will improve the quality of material. We have to make sure that the student can immediately use and learn from our materials without a teacher picking and choosing. The teacher becomes a guide and can focus more on the active skills which are more difficult to replicate in and online environment. It will be interesting to see how the online “revolution” will affect schools such as those where Ben works. Hi Mark, thanks for your response. I agree, It will be interesting to see how countries develop online learning experiences and what role teachers will play. Will they be recognized as ‘teachers’?